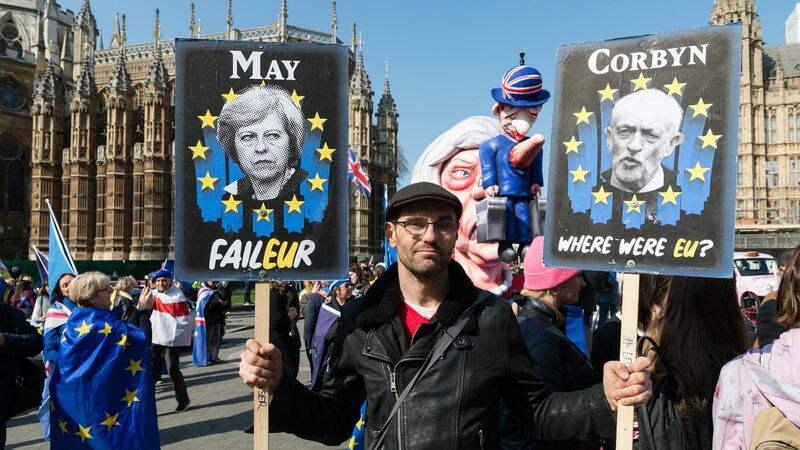 The House of Commons on Monday rejected all 4 alternatives to Prime Minister Theresa May's Brexit deal for the second time. Why it matters: The U.K. leaving the EU without a deal remains the default option on April 12. The majority of MPs don't want that to happen, but Parliament has still been unable to find common ground for an alternative solution. What's next: Nobody really knows. If Parliament doesn't pass a deal, the U.K. can avoid crashing out on April 12 by asking the EU for a long extension. This would force the country to participate in the European Parliament elections in May.